In my 30s and early 40s, I naively believed that I had to give birth to a child to fulfill my maternal longing to nurture another human being. So I embarked on several emotional years of trying - and failing - to become pregnant. Infertility is a condition that plays with your mind and makes you question your worthiness. The inability to conceive can leave you riding on a self-imposed "boo-hoo" train for many years. Thankfully, acceptance is among the greatest gifts of yoga. In my practice I have come to realize I am exactly where I am meant to be in life - childfree, and able to nurture groups or individuals in other — equally impactful — ways. Since coming to terms with this, I discovered I am not alone. According to the most recent U.S. Census, the number of American women without children has risen to an all-time high of 1 in 5, a jump since the 1970s when 1 in 10 women ended their childbearing years without having a baby. For those of us in this group, who still have what we think of as a "maternal instinct" to nurture/love someone or something, we've found creative, new ways to "mother" others. Legions of women like myself are finding deep fulfillment while leading AA meetings or mentoring teenage girls or teaching yoga classes or working with cancer patients or volunteering at animal shelters or aiding seniors in their daily lives...and in so many other ways. I believe all women share the gift of motherhood, whether we bear children or not, because we have an innate desire to impact our little corner of the world with our own brand of unconditional love. 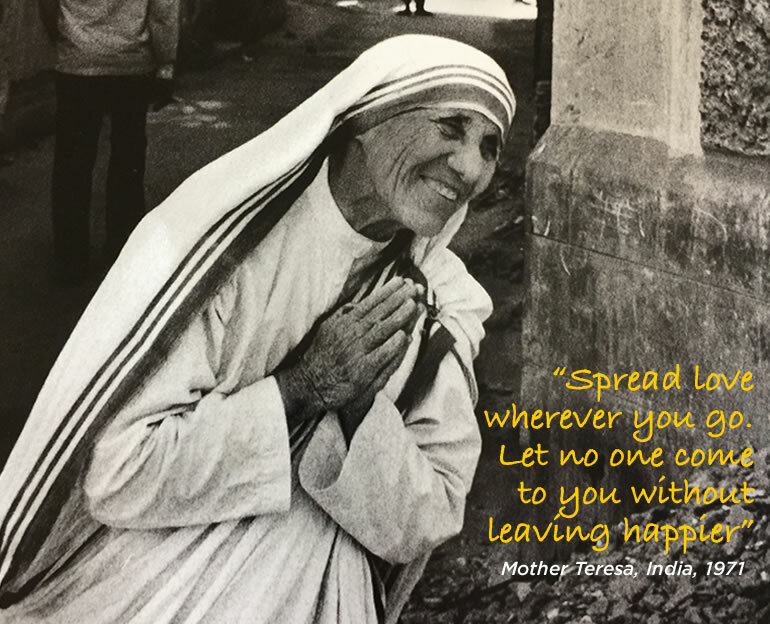 As we approach Mother's Day weekend, and in honor of all moms, I will leave you with my all time favorite Mother Teresa quote: "We can do no great things, only small things with great love."